Federal lawmakers introduce a slew of pro-marijuana bills, Canada eyes legalizing adult-use cannabis by July 2018, and concerns crop up over a little-known provision in Ohio’s MMJ law. 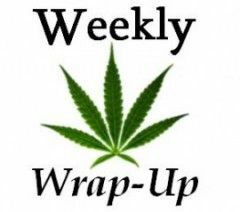 Thursday’s news that seven bills were introduced in Congress to reform national cannabis laws was greeted with exultation from many in the industry. But the reality is that every bill is probably a long shot. Massachusetts cannabis attorney Bob Carp, an expert on Congress, said the bills are “a very positive sign” that marijuana reforms are gaining more traction in Washington DC. But he warned that each faces a steep climb to President Trump’s desk. Depending on the mood of House and Senate leadership, for instance, bills such as the bipartisan 2015 CARERS Act often are assigned to committees chaired by anti-marijuana members of Congress. There, they die without a vote. And, so far, the only Republicans who’ve signed on to any of the seven measures are Sen. Rand Paul of Kentucky and Florida Rep. Carlos Curbelo. Neither is reported to have a lot of pull with their party leadership. Given Congress’ upcoming schedule, Carp said the soonest any of the new bills would likely become law would be early 2018. News that the Canadian government plans to unveil its recreational marijuana legislation soon has clarified the country’s cannabis future – but also raised new questions. Recreational sales will reportedly start by July 18 of next year. For the first time, Canada’s provinces will have the right to oversee cannabis prices, if they choose. As previously reported, the provinces are expected to be able to decide how cannabis will be distributed within their borders, while the federal government will oversee medical and recreational marijuana cultivation. If provinces do exercise their right to regulate prices, the most likely goods to be affected are high-THC products like concentrates, predicted Paul Pedersen, a cannabis consultant with Greywood Partners in Canada. Less clear, Pedersen said, is what opportunities the government will allow for small businesses. For example, what about the thousands of home growers across the country? Many are suspected of supplying the country’s federally illegal dispensaries – although a handful of cities have allowed MMJ businesses to operate. “Will they make it easy for people to transition from the gray market to the legal market, and will a private individual be able to apply for a retail license? We have no clarity on that yet,” Pedersen said. Ohio medical marijuana advocates are divided about the potential fallout from the state’s plan to restrict initial MMJ testing to universities. Some think it could halt the new program dead in its tracks, while others argue such fears are overblown. Brian Wright, executive director of the Ohio Cannabis Association, said any fears are premature. “Fortunately, there is quite a bit of time between now and when cultivators will ultimately need to be testing their product,” he said. Under the state’s MMJ law, Ohio’s public universities will handle testing the first year. After that, private labs can enter the mix. Wright, however, estimates product won’t be ready for testing until September 2018, leaving enough time to iron out the details. In his opinion, the most likely first player will be Ohio State University because of the school’s size and the sheer amount of research the university conducts. Louisiana has also incorporated universities into its program – Louisiana State and Southern will oversee MMJ cultivation – so the concern about losing federal funding if a college is involved in researching or growing cannabis may be lessening. But Michael Revercomb, campaign director for Ohioans for Medical Marijuana, doubts any major Ohio university will step forward. “We can’t even get the universities in Ohio to allow medical marijuana usage, let alone becoming part of the industry,” Revercomb said. He expects the program will end up switching to independent, third-party state-licensed testing. Mr. Carp says that “this is progress,” but progress is moving forward. This is more like my freedom is stuck in the middle of the swamp, being held ransom by religious fanatics. That is not progress Mr. Carp, that is a nightmare. So much for so-called experts on congress.